Dealerships typically push month-end offers/specials, but when Sandy hit on the 29th, both foot traffic and sales were affected in Northeast. Experts say that more than half of the cars flooded by Hurricane Floyd were put back on the road. Buyers beware of cars that have been damaged by Sandy and re-sold; once an engine is damaged by flooding it will most likely never be the same again. With the constant push for fuel economy and eco-friendly models, the recent power outages have left many All-electric and Plug-in vehicle owners wondering how they will charge their cars. Some manufacturers and dealerships have already made special offers for Sandy victims. These good-will gestures may go far for PR and customer retention, but will also help with sales in the next few months. 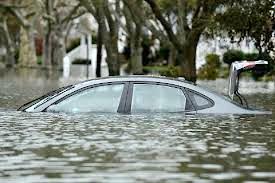 Many vehicles that fell victim to Sandy will need to be replaced. And, combined with the fact that the average age of a car today is approximately 11 years, car owners affected by the storm may be shopping for a car in the next few months. 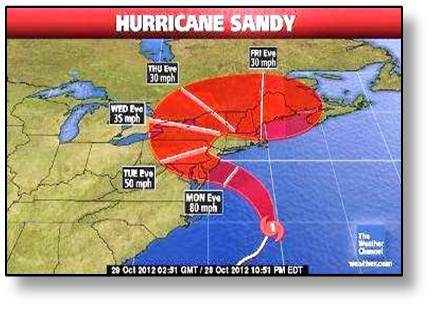 It will be interesting to see how the Automotive industry reacts and moves forward in the wake of Sandy. There’s nothing that says summertime like piling into the back of your buddy’s car and hitting the open road. Sometimes there’s a destination in mind, and other times you simply “wing it”. Whether you’re going for one day or traveling cross country, sometimes the best part of the road trip are the attractions along the way. Lucky for me I’ve had the pleasure of making the cross country road trip twice in my life. All along the way we were met with hidden treasures of classic Americana. From whole in the wall restaurants to campy souvenir shops, each of these places made our trip that much more fascinating. For this week’s blog post we’ll be discussing our favorite road trip attractions for 2012. 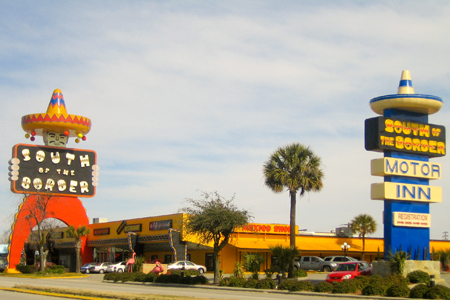 One of the most famous attractions you’ll see when traveling down 95 south is the South of the Border rest stop between Billon, South Carolina and Rowland, North Carolina. Trust me, it’s not something you want to miss, and chances are you won’t have a chance to miss. Known for their hilarious billboards lining Interstate 95, the intentionally kitschy amusement park/ souvenir shop/ restaurant hub is the perfect place to stop and recharge. While the food may not be Food Network quality, the whole experience will have you taking pictures and telling your friends. As a kid I remember visiting Albuquerque, New Mexico for the first time. Being from the East Coast, I had never traveled that far west before in my life. I remember walking around the city and being awestruck by the landscape that differed so much from the hustle and bustle of New Jersey. One of the places I remembered more than anything was the American International Rattlesnake Museum. They have of 30 different species of live rattlesnakes on site. They also have a large collection of snake related artwork and memorabilia for you to see and purchase. Being a young Boy Scout I was always fascinated by animals and insects. If you ever find yourself in New Mexico, be sure you stop by for the coolest experience of your life. Located in beautiful Memphis, Tennessee, Graceland represents everything that’s holy to Elvis Presley fans. Built in 1939, Graceland was once the home of Presley and his family. The mansion has since been preserved and was expanded into a museum in 1982. Since then the attraction has become one of the most-visited private homes in the country with over 600,000 visitors a year. Some of the most notable visitors to the site have been Japanese Prime Minister Junichiro Koizumi and Prince Albert II. While there you can tour the many rooms as well as his private planes and gardens, but be warned, no flash photography or video cameras or allowed. If you ever find yourself traveling out west, I strongly recommend you take the Historic Route 66. Also known as Will Rogers Highway, it stretches over 2,000 miles and spans from Chicago all the way to Santa Monica, California. 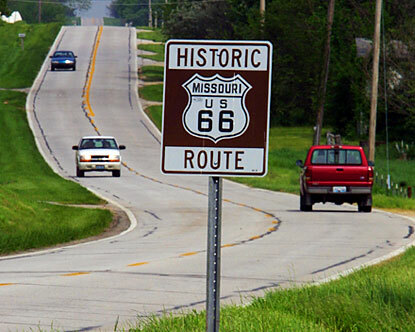 For those of you you’ve never traveled west of the Mississippi, traveling on Route 66 will expose you to many of the attractions that define this country. From the Snow Cap Drive-In in Seligman, Arizona to the America’s Great Plains, you’ll never have a shortage of things to see and do along the way. It’s a given fact. At some point while traveling, you’re going to have to eat. What’s a road trip without a stop at one of the many Cracker Barrel Old Country Stores along the way? Whether you’re traveling North, East, South or West you can most likely find one of these old country store’s along your way. As of 2011, there are over 600 locations in 42 states, mostly positioned right next to the highway. 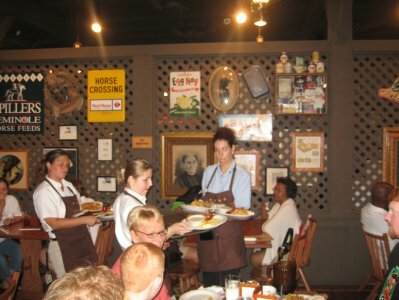 Stop at Cracker Barrel for a quick bite to eat, a family fun game to entertain the kids, or to pick up some nostalgic candy to keep you awake for the rest of the ride! You can always spot a Cracker Barrel by all of the wooden rocking chairs on the front porch. 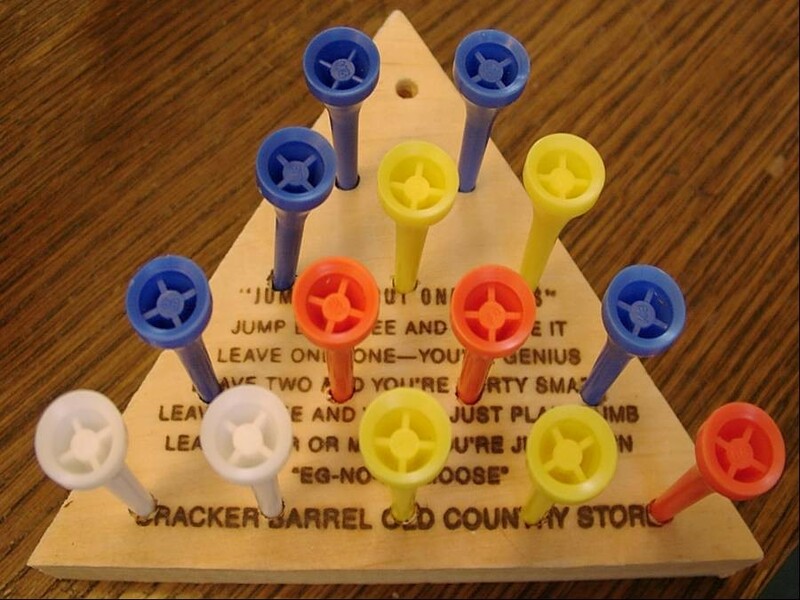 The best part of the whole experience is the wooden peg game that’s on your table. The food is awesome and the experience is even better. This is why it made it on to our list! As if rising gas prices weren’t bad enough, now consumers have something else to worry about when it comes to buying a new car in the future. Current proposed fuel economy rules and the Obama administration’s previous fuel economy mandates may raise the average price of new passenger cars and light trucks by nearly $3,000! 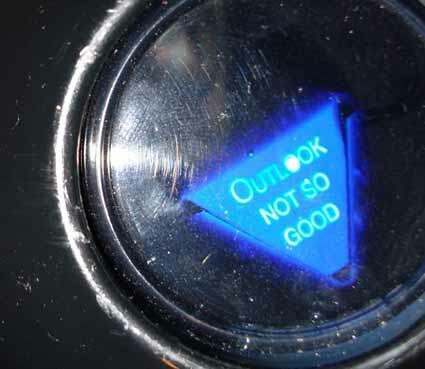 NADA released a study on April 12th about the effects these proposed standards will have on the consumers and the new vehicle market, and their Magic Eight ball shows: Outlook Not So Good. In 1975, Congress enacted the CAFE program (Corporate Average Fuel Economy) to reduce energy consumption by increasing the fuel economy of cars and light trucks. There are two major players involved with CAFE: The NHTSA (Nation Highway Traffic Safety Administration), which administers the CAFE program and is responsible for setting fuel economy standards; and the EPA, which provides fuel economy data and calculates the average fuel economy for each manufacturer. With direction from President Obama, the NHTSA and EPA issued a Notice of Proposed Rulemaking (NPRM) for Fuel Economy and Greenhouse Gas emission regulations for MY 2025 light-duty vehicles. These new regulations will effectively raise the price of the average car/light truck by $3,000. While the goal of this legislature is good – it addresses our dependence on imported oil in the US, looks to save consumers money at the pump, and attempts to reduce emissions of greenhouse gases – it seems that in our haste to pass legislation for the greater good, these new regulations may create a very bad situation for new car buyers and manufacturers. Today is Friday the 13th and while I’m not entirely free of superstitions; if I say it, I will physically knock on wood (if I can) and I will never walk under a ladder (I don’t know if that’s a result of superstition or just because it’s unsafe) but I’ve never really understood the aversion to the number 13. The number 13 has some significance to Media Works and is proving to be pretty lucky. So if you suffer from triskaidekaphobia or even paraskevidekatriaphobia then maybe Media Works isn’t the place for you. We have 13 clients advertising on TV in May alone! No one is more active in Baltimore Media than Media Works. If you are watching TV in May it will be hard not to see one of our clients. We have four clients that have been with us over 13 years! And a few that are approaching 13 years. We are so lucky to have long standing relationships with such great businesses. Clients that have been with us for over 13 years. 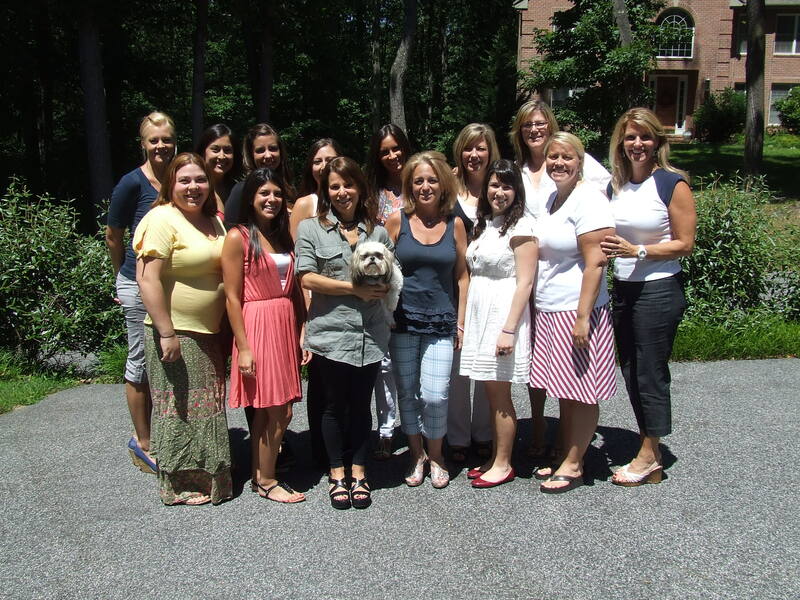 We have five employees that have been with us for 13 or more years. We don’t have to try very hard to create an environment that is socially and personally fulfilling. Our clients keep us on our toes and our friends around the office sure keep it interesting. We aren’t sure how many other agencies can be so proud of the number thirteen. But we never miss an opportunity to celebrate so… we’ll be toasting tonight at Tark’s if anyone wants to come by and raise a glass with us! Last but not least, today is Jody’s Son, Austin’s, 20th birthday! Happy Birthday bud! Last night as I was watching House Hunters on HGTV (it was taking place in Baltimore! ); I noticed the blatant product placement of the Chevy Cruz. There were numerous close ups of the Chevy logo on the new SUV, and for every house they visited there were shots of the realtor and the client driving and getting out of the car. This made me realize how many televisions shows and movies are featuring specific car brands and models. Between January and March 2011, $18 billion was spent on TV advertising and researchers measured over 5,000 product placements during primetime on major broadcasts and cable networks (Nielsen). 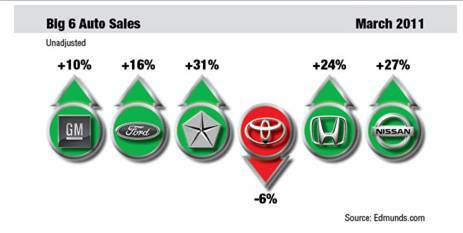 At the top of the list for industries advertising on television is Automotive, spending 2.7 billion (Nielsen). In 2010, there was an average of 17.9 products per #1 film (brandchannel). If advertisers are worried about viewers fast forwarding through advertisements through DVR or TiVo, they could take some notes from Buick and Desperate Housewives. When the Buick LaCrosse was being launched in 2005, Eva Longoria’s character, Gabrielle, found a modeling job as the mall spokesman for the LaCrosse. As Longoria did her “job” on television, viewers were essentially watching a Buick commercial narrated by Longoria. This week, Van Tuyl’s Media Director, Syringa Ortega was in town visiting Media Works. In the four days she was here, the Van Tuyl supervisors, buyers and assistants met with Syringa to go over everything from billing procedures, to invoicing and training on a system we all use called Workamajig. Syringa brought with her information and feedback from dealers around the country. Come Friday, we all felt like so much was accomplished. We also learned how enjoyable it is to have Syringa sitting only a few feet away from us. We were able to run up or downstairs to ask a question and had more face-to-face communication as opposed to phone calls and e-mails. Just before Syringa left, we ran outside to grab a group photo of all the people who work on the Van Tuyl account….Lexi included. It was a great week and we look forward to having Syringa back in Owings Mills in a few months.